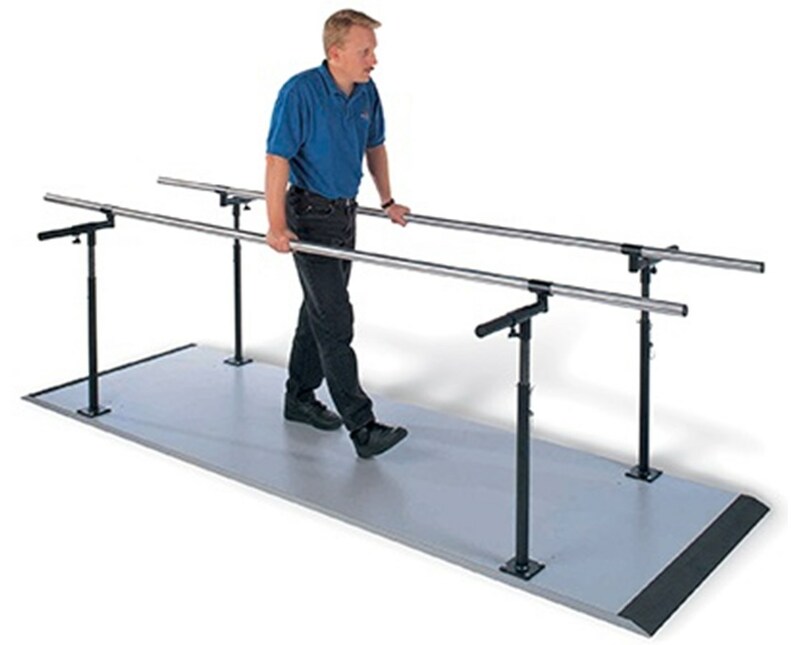 Width range of 15" - 28" and Height range of 28" - 41"
The Hausmann Industries Econo Platform Mounted Parallel Bars are training devices designed for patients undergoing exercise, physical and rehabilitation therapy. Awesome and Durable Design. Mounted on a 36-inch wide Folkstone Gray laminate platform, the Econo Platform Mounted Parallel Bars feature tapered ends and anti-slip rubber treads for easy wheelchair access. Its base plates, uprights, and fittings are constructed of heavy gauge steel and a black powder coated chip & wear resistant finish. With the New Secure Lock System, the Parallel Bars' sturdy uprights are made even more stable. The handrails are made of 1 ½" diameter stainless steel for hassle-free use and increased durability. Adjustability. 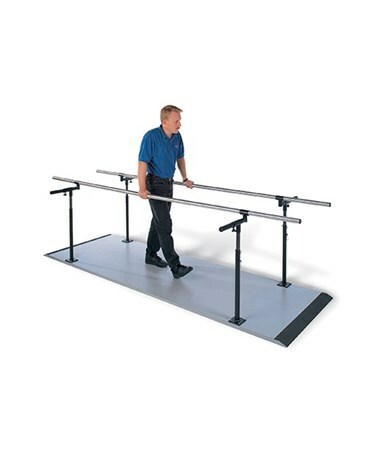 The Econo Platform Mounted Parallel bars are both height and width adjustable. Each upright is designed to telescope up in 1 ½" increments and locks into ten (10) different height positions with fail-safe ball-tip locking pin. Width Range of 15" to 28"
Height Range of 28" to 41"